There is a fascination with the open road. Freedom maybe, adventure, the unexpected. Something about rolling on down the seemingly endless blacktop, white lines racing by. The past, once so close at hand, now dissipating behind you; a procession of the eternal present. Somewhere, there’s a destination waiting, unseen and untasted. But afterall, it’s in the journey, isn’t it? And somewhere along that road there is a brewery. In some town, in some city, there are beers one can only taste by making that journey. The road and beer; true Americana. Oftentimes quite the perilous and dysfunctional relationship. But, if done right, oh, what a marvelous combination. This was our intention. That was our plan. Our trip was not to be some rambling odyssey through the vast stretches of the American plains and valleys and mountains like some Kerouacian novel. Ours was not to be a kind of highway-bound expedition in search of ourselves, or freedom, or truth, or the American Dream (although they would turn up in some of the most unlikeliest of places along the way). No, this trip was to be a pilgrimage and a celebration of the resurgence of an American tradition, born of the traditions of Her forefathers; from the great melting pot to the brew kettle. We were hitting the road for a spring break trip, forgoing the conventional sunny beaches and snowy mountain slopes for a six-day, six-state, 3,500-mile mission to seek out some of the best craft beers the South and Midwest has to offer. And find them we did. Four guys in a rented Chevy Cobalt with three working doors, looking only to their road map and the vast horizon before them. Living from one brewery to the next, one KOA Kampsite at a time. So here it is; day by day, brewery by brewery. The Great Brew Tour 2008. ‘Now,’ said the professor as the laughter subsided, ‘I want you to recognize that this jar represents your life. The golf balls are the important things—your family, your children, your health, your friends and your favorite passions—and if everything else was lost and only they remained, your life would still be full. The sand is everything else—the small stuff. ‘If you put the sand into the jar first,’ he continued, ‘there is no room for the pebbles or the golf balls. Take care of the golf balls first—the things that really matter. The Beer just shows you that no matter how full your life may seem, there’s always room for a couple of Beers with a friend. ***This is not an original piece here on Brew Union. It was forwarded to me from Seth. I have scoured the inter-web for the original author of this and found nothing. So to the orginal author–whoever and where ever you are. Cheers! Well done. 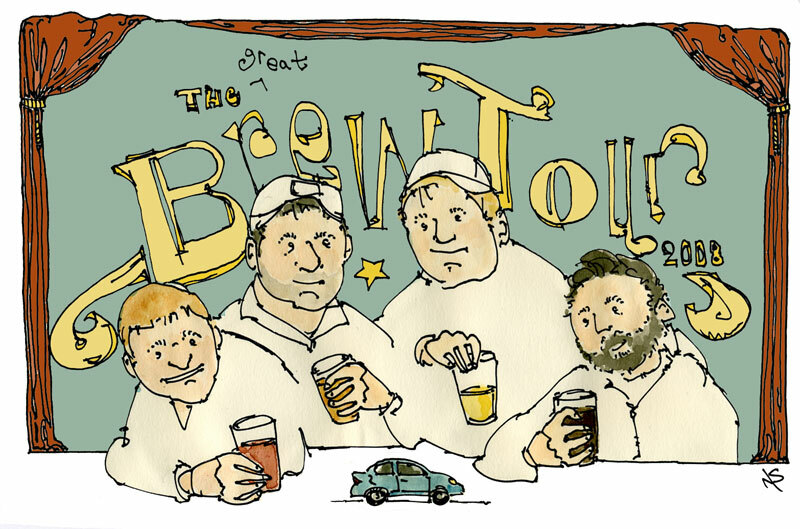 First, Brew Union has a core of four guys (it has grown to include more): Seth, Dane, Nate and Jacob. Unfortunately for Jacob, he lives 5 hours away from the other three, so he was physically on the outside looking in at the early stages, but he was there spiritually, emotionally and on the phone. That’s the background on the people. To get to know more about them, check out their author pages an’such. Now more on Brew Union. Brew Union has been around a little over a year now. Well, at least the idea of it has been. The idea of Brew Union started brewing when a brand spanking new brewery opened up in our area. That was the fuel for our fire. The spark was when their beer showed up on tap at our preferred location of consumption. For whatever reason when I drank my local brewery’s beer for the first time there were fireworks in my head. That might be hyperbole, but that is the truth. From there we started the conversations about Brew Union. The next steps were subtle and slow. What could we do to immerse ourselves into the world of craft beer? We didn’t just want to make the switch to drinking craft beers. We wanted to go the distance. We wanted to live it, breathe it and be it. When we decided that, the next steps were easy. The best way to learn about the culture and the world was to go to it. With that idea we decided a brew tour was in order. That’s where the idea of a road trip that would take us over a good chunk of the country and drop us into world of beer came from. What a success the trip was. We’ll go over it in more detail on other posts, but it turned our smoldering passion for craft beer into a firestorm. The success came not from the beer we had (which was good) but from the people we met. The people we met and continue to meet are the motivation behind Brew Union. From that point to now has been all about keeping the idea alive and strong. We started home brewing shortly after the first tour. We brewed and drank. And now we are here building on that dream. This is the next and biggest step. Brew Union’s headquarters or “lair” is in the Kansas City metro area on the Kansas side. That is our backyard and where we spend our time drinking and what not. So hopefully we are not too much of a homer for our local breweries. Got to support your local brewery right? A holiday that gets most of it’s origin from the TV series Seinfeld. Writer Daniel O’Keefe introduced the world to Festivus during the episode “The Strike” in 1997. The holiday is a reaction to the mass commercialism of the holiday season. With aluminum poles, feats of strength, and airing of grievances this holiday is an excellent way to celebrate the previous year. Festivus is celebrated traditionally on Dec. 23rd, allowing everyone to share in celebration before joining with family for other holiday celebrations. Have a brew and possibly you too will have a Festivus miracle! The research covering holidays connected to brew had some major gaps in historical ties. I had originally planned on finding some very obscure holidays (there are plenty, such as Talk Like a Pirate Day), but ran into some roadblocks. Most brew holidays just did not have the credentials to be considered a legitimate holiday. Then I came across good old Saint Arnold, the patron saint of breweries and hop-pickers. There are some holes in the story of Saint Arnold, but it is generally agreed he was a monk living in France around 1000 AD. Eventually he rose to the rank of Bishop and was challenged by another for the title. Instead of fighting, Arnold retired and returned to the monastery where he became a brewer. He then encouraged people to drink beer rather than water, which ran risk of carrying disease. One of his many miracles occurred as the people were carrying his body to the cemetery. It is said that the group of people stopped at a pub for a brew, but were dismayed to find only one glass of beer available. The mug lasted for the entire crowd, and everyone was able to have their “fill”. This is what holidays are built around: history and miracles. Another cultural holiday that has emerged as an American celebration. St. Patrick’s day started in Ireland and is the annual feast day for St. Patrick, the patron saint of Ireland. As immigrants came to the United States the holiday became a celebration in areas with large populations of Irish. Most people think of green beer when they think of St. Patrick’s Day, simply normal beer colored with green dye. Many urban areas across the country have parades to celebrate, as well as many brewpubs offering a great variety of green beer, Guinness-like stouts, and Irish whiskey. Cozy up with a nice cold green beer, because on this day, everyone has a little Irish in them. Earlier I mentioned that it was tough to judge cultural holidays because of how they are represented across different regions in the United States. Cinco de Mayo is just starting to be celebrated where I live (Kansas). Oktoberfest on the other hand, has been part of Kansas history since it became a state in 1861. Most of the immigrants to Kansas were of German, Czech or Bohemian ancestry. In fact, up until World War I, half of the papers printed in Kansas were printed in German. 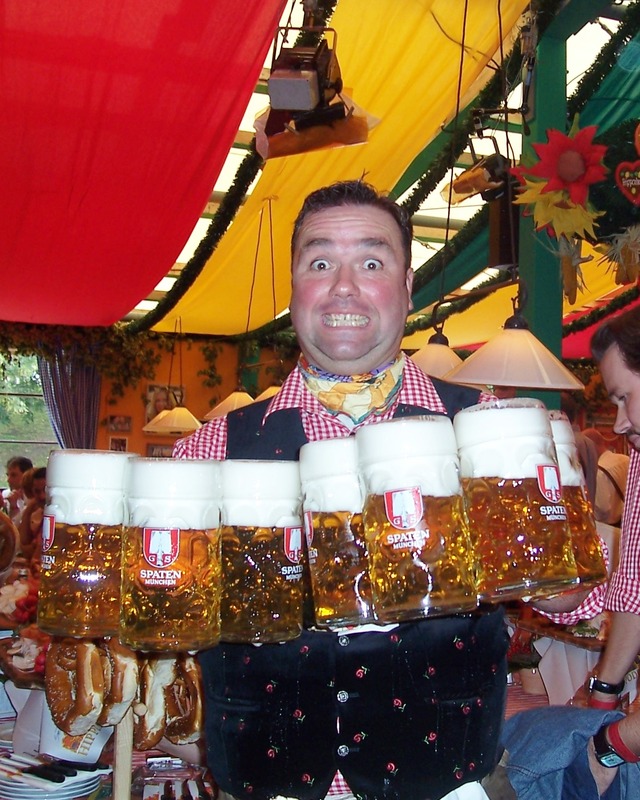 Oktoberfest is a sixteen day long party in which Germans basically celebrate being German. Large portions of food. Larger portions of beer. A visitor once commented that Munich during Oktoberfest was “the happiest place on earth”. The traditional beer for Oktoberfest is actually brewed in March and is called Marzen (German for March). Oktoberfest is meant to be celebrated as a community, so find a local town or group that puts an annual festival, and celebrate like you’re in a Hacker-Festzelt (Oktoberfest tent). A stirring day that should live in history for all Americans, not just beer lovers. Dec. 5th, 1933 the government and people of the United States realized they had made a big mistake in banning the sale of alcohol. The rise of organized crime and tough economic times helped legalize the ability for the common Joe to enjoy a nice brew after work. Repeal Day has all the benchmarks of the ideal beer drinker’s holiday: a reason to celebrate, historical and governmental ties, the revitalization of an industry which had almost disappeared, an announcement to the world that the US would no longer over look the wants of it’s average working citizen. Some states continued to enforce Prohibition to different extents. In Kansas for example, Prohibition was created in 1881 and did not fully end until after WWII. Prior to Prohibition, Kansas had over 90 breweries (http://www.kcpt.org/tapping_kc/prohib/ksprohib.html) which catered to a mostly German population. On Dec. 5th celebrate the freedoms you have in America by remembering the tragedy that our ancestors fought to end. With the recent inauguration of Barrack Obama, my co-workers and I began discussing whether there should be work on Inauguration Day. There were some good comments: “we’ll spend Tuesday watching it at work anyway”, “this event is historic”, and “this event will give a glimpse into the next four years of our lives”. With all the talk about holidays I began to ponder which holidays weren’t receiving their full due. And so, without further ado, I present the top 10 holidays to have a beer. Here are my top 10, with some you may have heard of and hopefully a few surprises. A side-note, I will not be including “major” holidays. Granted it only occurs once every four years (sometimes eight), this is a time for celebration for people living across the country. I have never seen more people involved in politics than the fever pitch that surrounded Barack Obama’s campaign in 2008. The real question with this “holiday” is whether it will continue to be the event which it was in 2009. Here’s to hoping it remains an important day in the minds of all Americans. A day some people look forward to…and others dread. I myself am not a shopper and have a tough time convincing myself to help the economy by getting lost in a seemingly endless crowd of fussy shoppers. 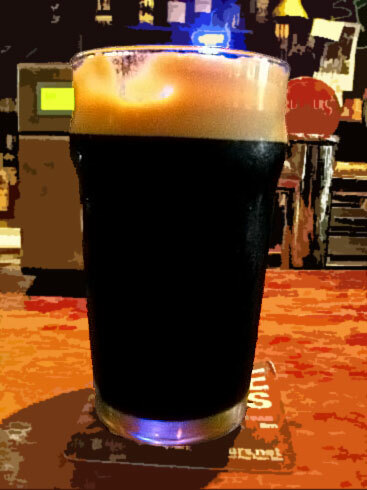 What better time to skip the long lines at the malls and relax at your favorite brewpub? Watch everyone else fight over who gets the last Turbo-Man doll while enjoying a nice craft brew. Not only do you save yourself some stress, but you are also doing your job as an American: helping the economy! Win-Win situation! When I originally presented this list to my brother, he was a bit taken back that I had Cinco de Mayo at #8. My theory with holidays’ based on certain cultures is the closer or more exposure you have to that culture, the more important their holidays seem. Living in Kansas, we are slowly beginning to experience the fun of Cinco de Mayo. Another issue with Cinco de Mayo is the beverage I first think of when celebrating is tequila….not beer. Cinco de Mayo is NOT Mexican Independence Day (Sept. 16th). The holiday celebrates a victory of Mexican forces over French forces in the 1860s. The Battle of Puebla, near east-central Mexico, took place May 5, 1862. Over the last decade or so, the holiday has come to represent pride in Mexican culture and history. Chances are the weather will be beautiful; grab a case of cerveza and enjoy your back patio with some friends. This holiday might seem a bit strange for drinking a beer, but it is one of my personal favorites. Most people don’t celebrate Groundhog’s Day…with the exception of the people living in Punxsutawney, PA and or working in elementary schools. Groundhog’s Day originates in the Eastern part of the United States, in areas with deep German ancestry. If the groundhog “sees” his shadow, winter lasts an additional six weeks. To celebrate Groundhog’s Day, grab a case of brew and watch the classic Groundhog’s Day film starring Bill Murray. Then plan your next six weeks of brewing enjoyment. Six more weeks of winter? Brew an additional stout or porter. Summer right around the corner? Time to brew that pale ale! Who knew marmots could have such an impact on our brew choice. The site is currently under construction. Please excuse our mess as we get things nice and tidy and polished. So if you’re into judging and that kind of thing. Just beware that we have a lot of ins, lot of outs that we need to sure up. We are planning and getting ready to go on the second brew tour (middle of March), so after that we are hoping things will have settled down a bit and things can start shaping up like we want them to. As we go through this process we’ve called BETA (it just sounds so offical) that doesn’t mean we are not here. We would love to hear from you if you have stumbled across this site from random Google searches, or through other various places we have started to frequent like Twitter, Facebook, etc. If you have ideas, comments, questions or what to know more about the Brew Union contact us via those social networking sites or email us at editor@brewunion.com. Brew Union is officially in its BETA. It has taken a year now to get to this point but we are here. And the view is great. Beer Union has indeed come a long way from last year and the first beer tour. That first tour really opened our eyes to the culture of craft beer. The impact it had on those who went was immediate and powerful. It was not the fact that we had a lot of great craft beer, it was more about the people we met. Everyone who was involved in anyway with the beer were amazing. That’s not just hyperbole, that is the honest truth. From Augusta Brewing Company to Rahr & Sons Brewing Company to Odell Brewing Company, the people we met had passion and intensity about the beer. It was as refreshing as their beer. So from here we will keep working. 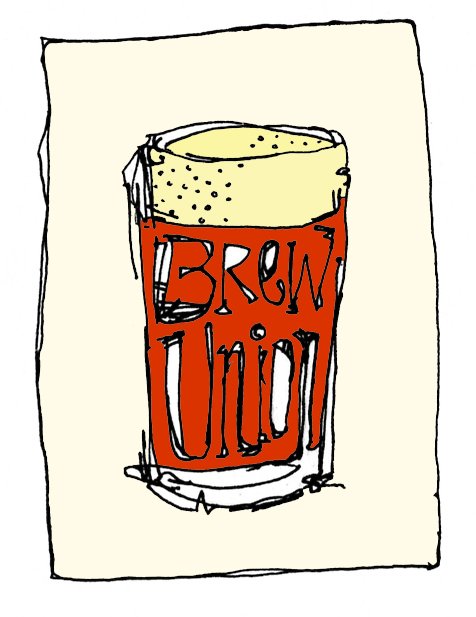 Check out the about page for more information about Brew Union. For now though, know that getting this where we want and have dreamed of is a process and that process takes time. So bear with us while we get kinks kinked out, the proper hands shook and the work flow flowing like it should. Sign up to receive news and site updates!